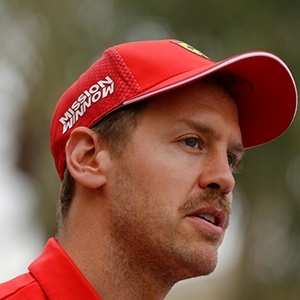 Cape Town - Sebastian Vettel hasn't committed to Formula One or Ferrari after 2020, hinting that he could decide to retire. This year marks the 31-year-old's 12th full season in Formula One. While his time in the sport has brought his great success with four successive World titles with Red Bull, it is also seen the German earn more than his fair share of criticism. That has continued into this year's championship with Vettel losing vital points through a spin at the Bahrain Grand Prix. As such he lies fifth in the championship with 22 points, half of what championship leader Valtteri Bottas has scored. This year may be Vettel's second last shot at a fifth World title. "I'm certain I really want to drive this year and next year, then I don't know what happens to the regulations," he recent told The Times. “Nobody knows so far. I certainly can't sit here and say, 'No (I won't leave)' just for the sake of being in Formula One." He added: "A lot of the values that used to be around, they are only partly around. "Formula One is now more a show and a business than a sport. You can say the same probably for other sports, but maybe in other sports it doesn't filter down as much to the actual athlete as much as it does here. "There just needs to be (a decision about) what we want. If we say we are a show, then bring on the show. I feel we are wasting so much time and energy with regulations that are just expensive really for nothing."